The cute bow stamp is from plate QA5 from Born Pretty Store you can find it HERE, you can also get a 10% discount using coupon code PA5J61. I love all the images on this plate they are so cute. I should had waited a bit longer to apply top coat to avoid the smearing but I was in a rush as always! 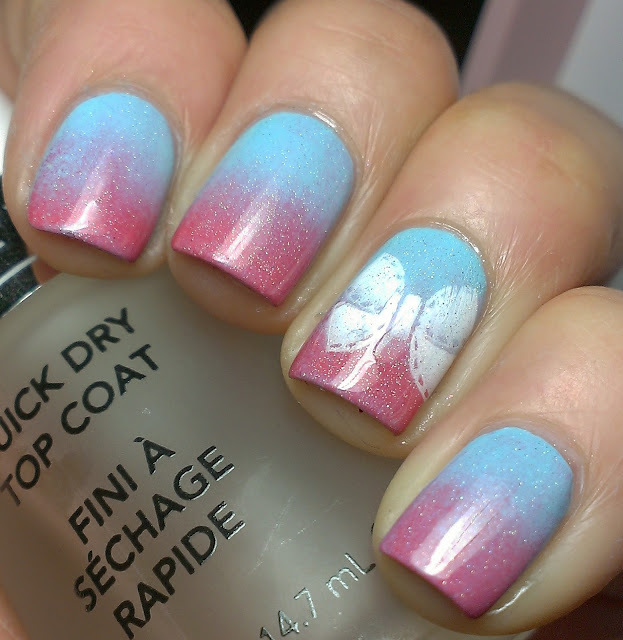 Very pretty gradient! I definitely need to do more of these. I'm just. so. lazy, haha! 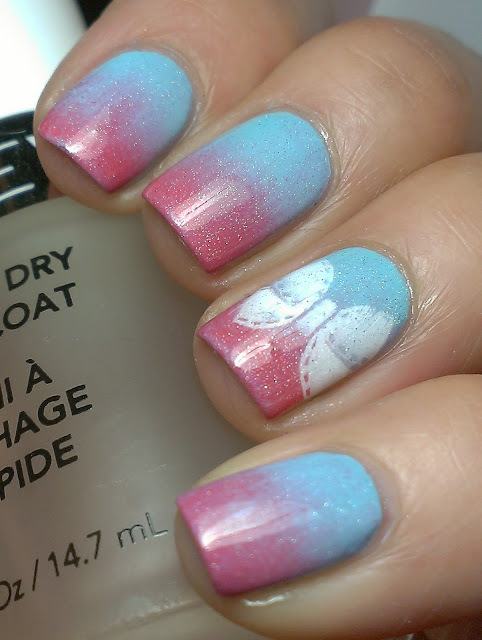 I love this mani - it's gorgeous and very spring-like! This is so fun and perfect for spring! this is so cute! i love the bow! It's been more than a month since I had the time to do my nails. Feel envious with these pics. Not that I'm that talented anyway. Most times I improvise my manis and they don't always turn out fine. You know how much I love this one!!!! !